Round glass top adds ease to clean up for the table and can be used indoor. 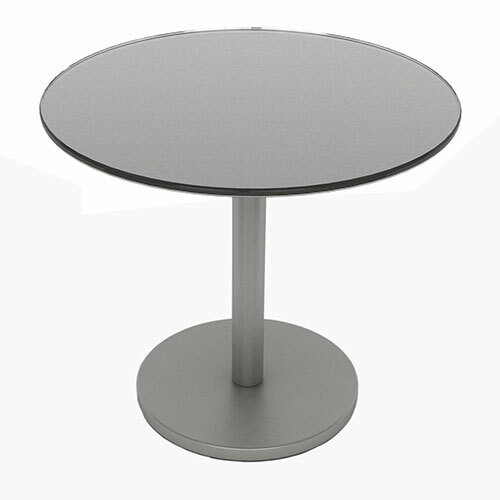 The stylish single pedestal stand on the Glass Side Table makes a great home furnishing accessory ideal for the family room, den, home office or outside on your patio or deck. You always a need a little extra space, right? Well this handy table delivers, in style! 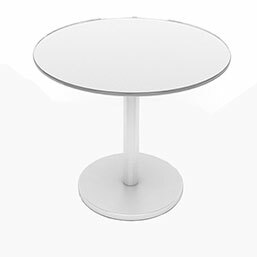 Available in a wide collection of bright, stimulating colors, the table brings a fun and exciting flair to your home. Sturdy steel construction and a wear-resistant powder coating ensure durability and good looks for years to come. And the Tempured Glass top is safe and strong.